chefs vegetable selection of the day (Baby spinach may be substituted for $.99), and rolls & butter. Tender, sliced top round. Smothered with our own homemade gravy. 8 oz. sirloin topped with sauteed onions. Tender, center cut pork served with applesauce. Made daily in our kitchen and smothered in our own homemade gravy. A large, prime cut of liver smothered in onions & bacon. 10oz. or 12oz. of prime USDA beef, charbroiled to perfection. A fresh cut 8 oz. 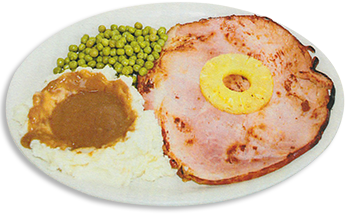 ham steak, topped with pineapple. Two 7 oz. 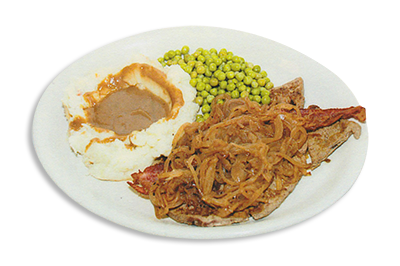 center cut pork chops, charbroiled and served with applesauce. 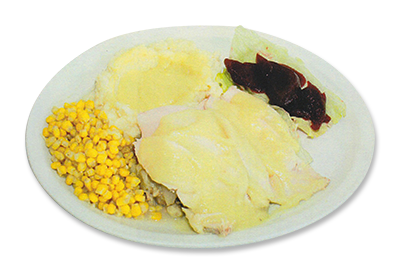 Fresh, tender turkey with homemade stuffing, mashed potatoes and gravy. Four pieces of crispy, crunchy fried chicken. An 8 oz. chicken breast gently charcoal broiled to juicy perfection. 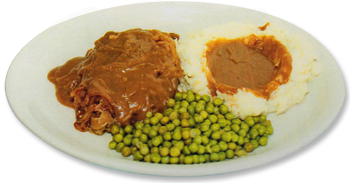 Breaded and fried veal cutlet patty, topped with gravy or meat sauce. fries and rolls & butter. A chef salad may be added to your entree for $1.25. Four large shrimp and five breaded scallops. 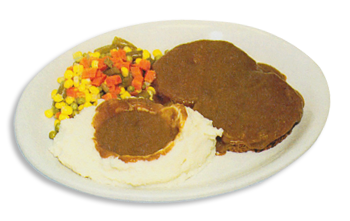 Served with fresh homemade mashed potatoes, chefs vegetable selection & homemade soup or salad. A generous 8-10 oz. fillet of haddock, fried to perfection. 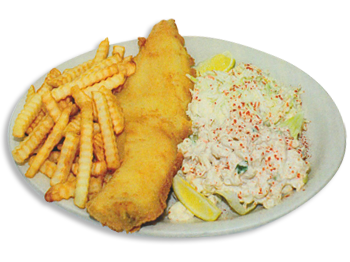 Fresh haddock, large fried shrimp, & breaded scallops. A seafood lovers dream come true! Ten delectable, sweet scallops breaded and fried to perfection. Eight large shrimp, breaded and fried golden brown. 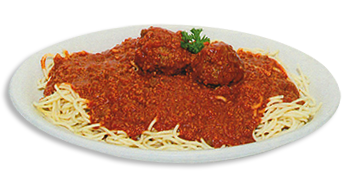 All dinners served with our homemade meat sauce, homemade soup or salad, and rolls and butter. Seven tender cheese stuffed pasta, covered with meat sauce. A large helping of pasta covered with our homemade meat sauce. Tender veal cutlet patty, smothered in melted provolone and served with pasta in our homemade meat sauce. A tender, breaded 8 oz. chicken breast, smothered in provolone cheese and served with spaghetti topped with our homemade meat sauce. Four large, tender pasta shells, stuffed with cheese & topped with our meat sauce. Four large manicotti, covered with our meat sauce. All dinners served with Greek salad, pita bread, and your choice of rice or Greek potatoes (except Christina's New Creation). Tender, marinated USDA choice beef. Chicken souvlaki and rice pilaf served with Feta, tzatziki sauce and pita. Spicy lamb & beef, seasoned to perfection! Served with tzatziki sauce for dipping. All white meat marinated chicken. Delicious! 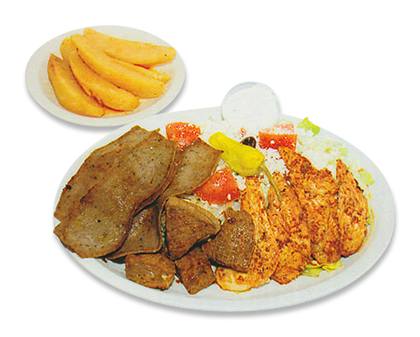 A hearty portion of beef, chicken, and gyro, served with tzatziki sauce for dipping. Our Greek salad served with spanakopita and pita.